For this special concert preview, John give talks to our soloists for this concert - Meribeth Risebig and Alberto Racanati - about the piece they’re playing - Quiet City. Episode 25 is a Holiday Special! John and Jim answer all the holiday music questions you’ve never asked or cared about, and MORE! In Episode 22, Jim and John are joined by Musicologist Dorothy Glick Maglione to talk about the upcoming performance of Amy Beach’s Symphony No. 2! Plus, KC Picks is back! Jim and John talk NSO Season 52 PLUS a special surprise announcement! Thanks to AlphaGraphics Downtown for sponsoring The Arts in KC Podcast! In Episode 18, Jim and John talk about the ways music can be used to influence things like behavior, feelings, and even our pocketbooks! As always, KC picks are made at the end! Thanks to AlphaGraphics Downtown for sponsoring The Arts in KC Podcast! In Episode 16, Jim and John talk with Melissa Stan of the Mid-Continent Public Library at Woodneath. As always, KC picks are made at the end! Thanks to AlphaGraphics Downtown for sponsoring The Arts in KC Podcast! In Episode 15, John lets Jim finally go on and on and on about Leonard Bernstein! Lots of great insights and info into one of America's best. As always, KC picks are made at the end! Thanks to our Concert 4 Sponsors - Richard and Shea Henderson! For this special concert preview, Jim gives us insight into the upcoming program - Swan Lake, Haydn's Concerto for Cello and Brahms' Tragic Overture. Thanks to Ad-Trend Outdoor for sponsoring The Arts in KC Podcast! In Episode 14, John and Jim talk about the "behind the scenes" of what goes into putting together and maintaining the Northland Symphony year to year. As always, KC picks are made at the end! Thanks to Ad-Trend Outdoor for sponsoring The Arts in KC Podcast! 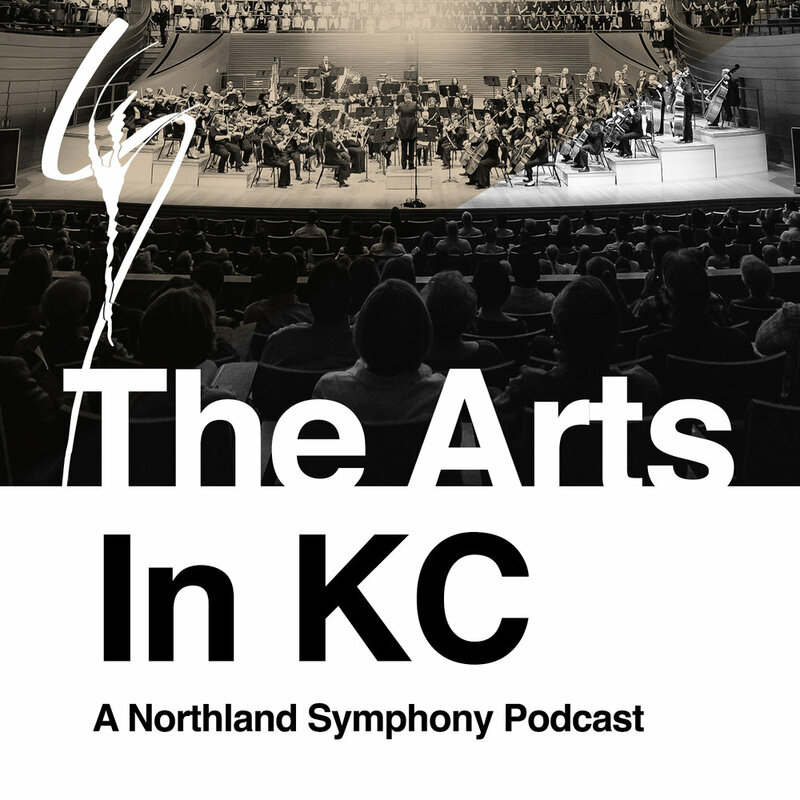 In Episode 13, John and Jim preview the upcoming 2018-19 seasons for Harriman-Jewell Series and the Kansas City Symphony. For this special concert preview, Jim dives into the history and background of our two pieces - the Mozart Clarinet Concerto and Bloch's Concerto Grosso.